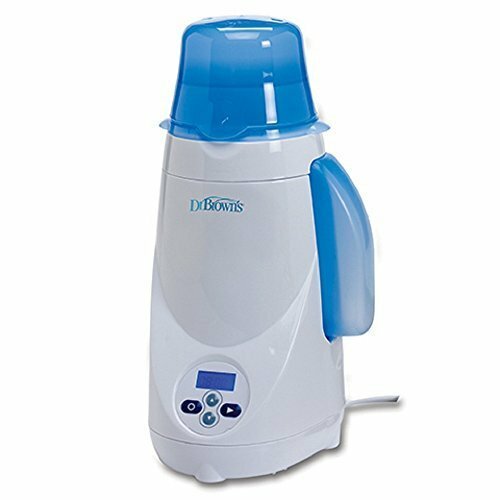 There are many benefits in finding the best bottle warmer for breastmilk . First, if your spouse is keen on helping you feed your baby, they don’t have to wait for the milk to thaw. Second, if your little one is already hungry and you’re not around to directly latch them, it will come in handy. 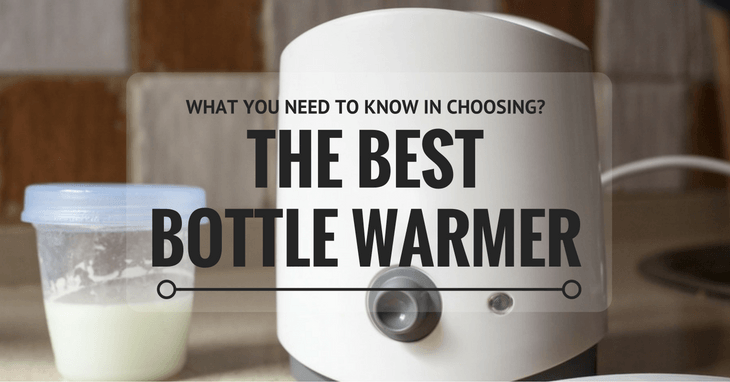 Best Bottle Warmer For Breastmilk: What You Need To Know In Choosing? This simple to use bottle warmer ensures efficient and reliable heating results every single time. 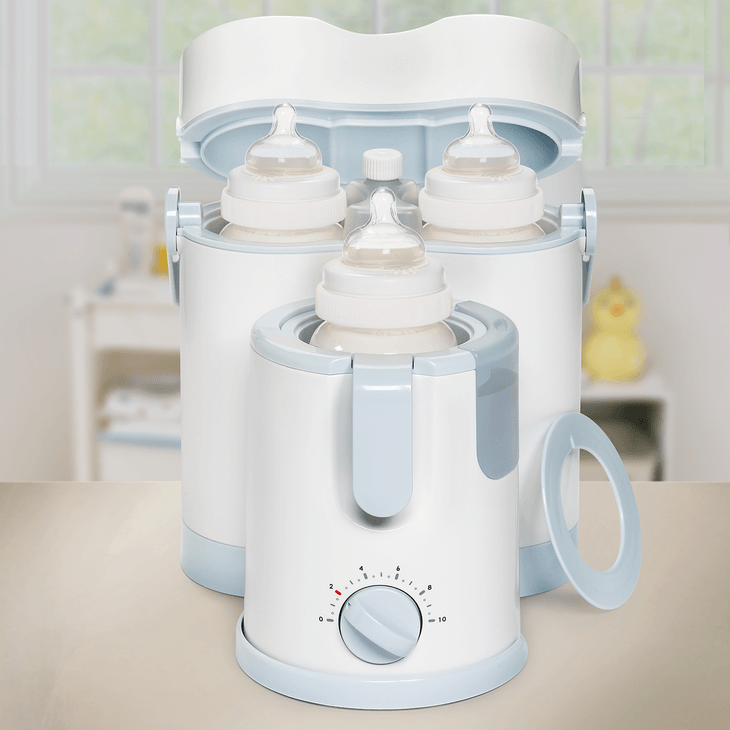 It even features a ‘2-second bottle process’ to make it easier and faster to feed your little one the moment they show signs of hunger. It has an auto-shut off mechanism for sterilisation and also two options for warming. ‘Steady warm’ will help keep the bottle at a certain constant temperature (up to 4 hours) – once your baby is hungry, just remove the bottle and feed them. It’s also ideal for preparing in advance for the next feeding. It is most suitable for night-time feedings. This sleek and stylish baby gear contain materials like plastic and stainless steel. It doesn’t require batteries or electricity – it only conveniently stores hot water to warm both bottles and food. Because it’s portable, it’s ideal for travelling. It’s also BPA-free, so you’re sure that it doesn’t have any toxic components. This plastic bottle warmer features a convenient alarm signal with flashing LCD to alert you that it finished the warming process. The control panel is also easy to read and allows you to set the heating time. 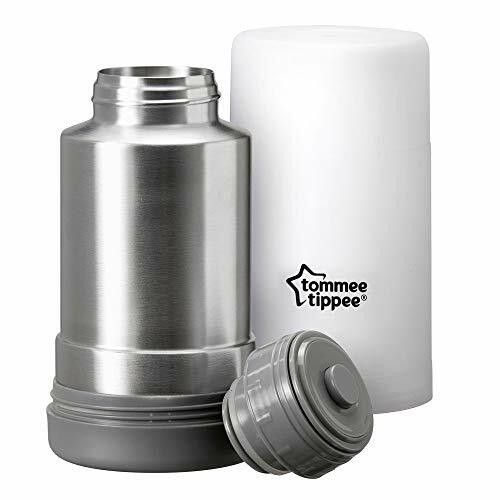 It even contains a refillable water chamber that can accommodate several bottles before requiring a refill. You need to take out the bottle once it’s done heating. Otherwise, it may get way too hot because the chamber continues to warm up even after a few minutes. You can use a towel when taking out the bottle to avoid any burns because the plastic can get so hot. The feeding bottle might need some cooling time. 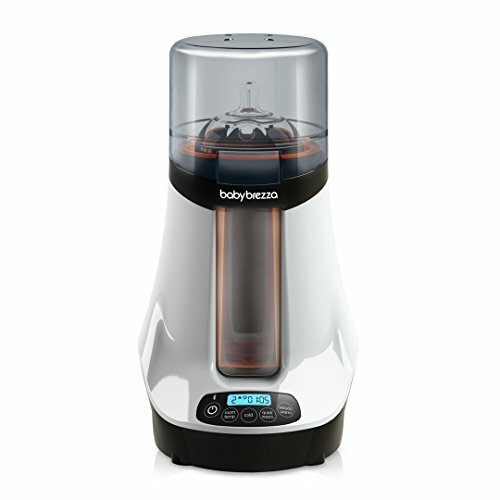 It features two warming modes – the 'steady mode' is for heating with warm water and the 'quick mode' which uses steam. It also heats up the milk carefully to avoid stripping it of nutrients and antibodies. It can even defrost frozen milk or baby food. Plus, it comes with a free app to let you know that the bottle is all set. It contains a universal warming chamber which can accommodate frozen or thawed storage bags, food jars and any feeding bottle. It also has an easy-to-use timer and auto-shut off feature that automatically turns off the heating source once the warming time is over – this will reduce chances of overheating the bottle. Convenience : Imagine waking up in the middle of the night because your baby is crying and maybe for some reason, you are no longer directly latching. So you get up, get the chilled milk from the fridge and warm it. There’s always the option of soaking the bottle in a bowl of hot water, but that’s not as convenient as using a warmer. Speed : This is one thing it can boast. You don’t have to wait long for the milk to be ready for consumption. Remember, you wouldn’t want your baby to drink cold breastmilk. Warm milk is soothing for the baby and will help them sleep. Also, if you're feeding an infant less than one-year-old, the temperature has to be as close to breastmilk as possible. Retains nutrients : You must understand that your method of warming the milk also dictates whether you're keeping the nutrients intact (loads of them when using breastmilk) or not. In some cases, such as the use of microwave, there’s a chance of losing what’s essential and beneficial for the health of your baby. If it gets too hot, it may lose some of its immunological value. Rapid heating may also cause the loss of antibodies which are again, vital for your child. Comfort for the baby : Aside from the importance of ensuring your infant reaps all the essential nutrients for their immunity, when the little one is too young, cold milk can lower their temperature which is something to avoid. 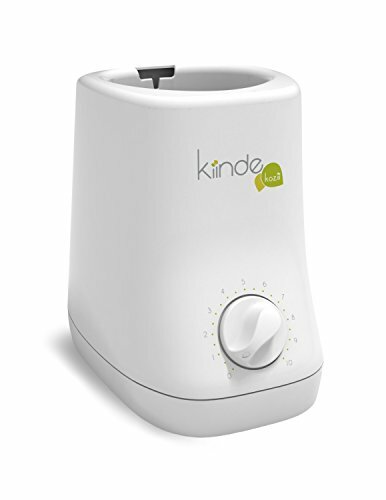 Additional features : More expensive bottle warmers can also heat up small baby food jars or even small items such as teats and pacifiers. There are also products which have an auto-shut off feature, and most of them are reliable. Better option than microwave : It’s true that other methods of warming milk such as using recently boiled water or microwave are good options but the thing with this kitchen appliance is, it might cause hot spots (when some parts of the milk are too hot while others are cold). It will likely cause burns in the mouth and throat . The right temperature is crucial. Look for something that’s easy to clean and maintain . This is pretty self-explanatory. As a mother, you don’t have a lot of time on your hands. Even a quick nap is challenging to have. Thus, it is why you should look out for this factor when shopping for your baby gears. It should always be one of your top considerations. Maintenance should be effortless. Specify your need . Do you want something that you can put on your countertop, something that’s heavy duty? Or do you prefer one that’s portable and easy to carry around during travels? There are various kinds which can accommodate your preference and needs. There are even models powered by batteries! Make sure it’s safe for use . It is another priority for you. Ensure that the bottle warmer is BPA-free and the material used does not contain any toxic components which could potentially harm your little one. Because it heats up, you never want the cheap plastic to pose a hazard. Consider durability . No parent wants a baby gear that will breakdown after few uses. We always want something that will last and worth the money. Often, it doesn’t matter if it’s a few dollars more expensive than other products as long as you can use it for years to come. What’s the point of going for cheap items when it breaks down quickly? Think about your budget . I always say this when buying things whether it’s for you or the baby – never go beyond what you can afford. Some parents even deem bottle warmers as luxuries and not exactly necessities. But in matters of convenience, I believe it’s important. Nevertheless, while I mentioned not to settle for just anything, there are products which are good buys. They’re not expensive, but the quality is excellent too. Ensure consistency . 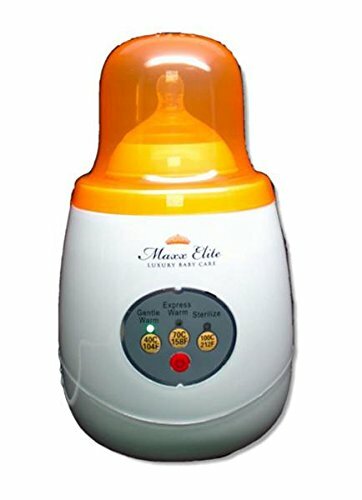 What’s worse that having a baby bottle warmer that shuts off at different temperatures? There’s no point in using one if it’s going to yield different results every time. Although to be fair, this isn’t common in those expensive ones. But there are cases wherein consistency has become an issue. Keep in mind that you neither want it too cold or too hot. The key term here is lukewarm. Either extreme temperatures might have a not-so-good effect on your baby. Feeding your baby, whether formula or breast milk, should not pose as an inconvenience. For already-stressed out mothers, it’s a big bummer when you need to deal with an agitated, screaming baby in the middle of the night just because of hunger. While others believe this is unnecessary, I think bottle warmers can be life-savers especially when you’re sleep-deprived. It makes the feeding faster and easier. All things considered, my top choice would be Maxx Elite. It’s incredibly convenient always to stay prepared for the next feeding. There’s no rushing and fussing over the wrong temperature. And at the end of the day, your little one will be full and happy.